New arrivals from Bella Luxx now in store!! Start your Summer of Style 2013 with us at our Scottsdale Store! 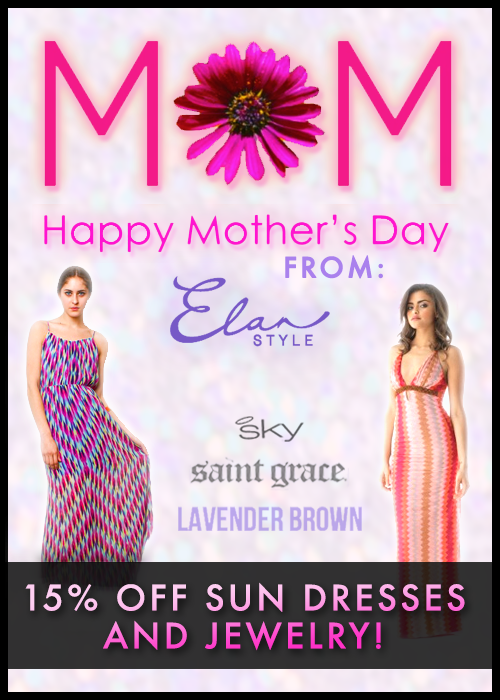 Treat Your Mom to Style this Mother’s Day with 15% Off Sun Dresses and Jewelry! So many great styles from Sky, Lavendar Brown, Saint Grace and more!! Sale ends Sunday, so shop now for the best selection and for the 15% off savings! !